Sparrow Hills is a hill on the right bank of the Moskva River and one of the highest points in Moscow. On top of the hill, 85m above the river, is the observation platform which gives a beautiful panoramic view of the city. 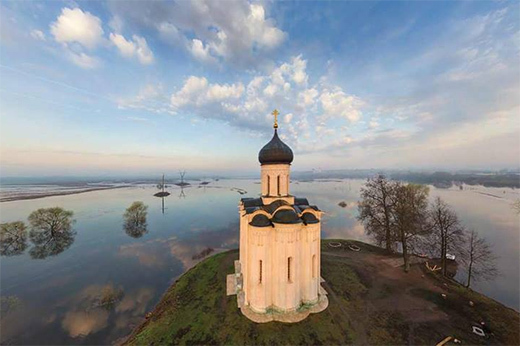 Sparrow Hills has been an inspiration for many Russian poets and writers. 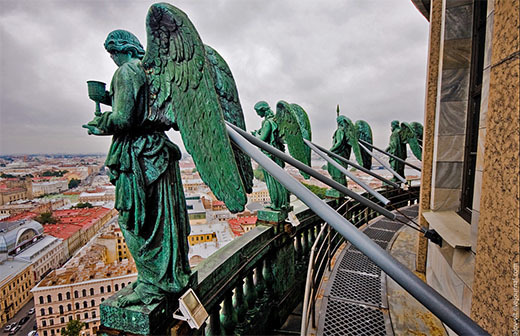 In old times travelers used to climb on top of the hill to enjoy the view and to see the final point of their destination: Moscow. 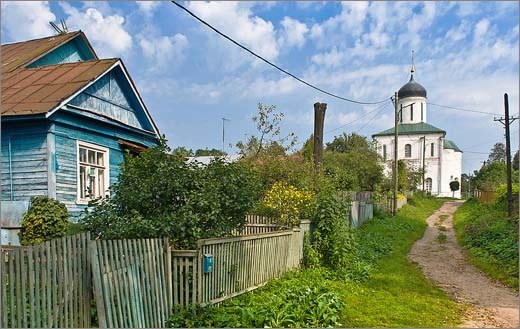 The name ‘Sparrow’ – in Russian ‘Vorobyovy’ – was originally the name of the village that was located nearby. Standing on the observation platform you can see almost all of central Moscow: the Luzhniki Stadium (where the 1980 Olympic Games took place); the domes of Novodevichy convent; the Kremlin churches; Christ the Savior Cathedral; and the Seven Sisters, Stalin's high-rise buildings. 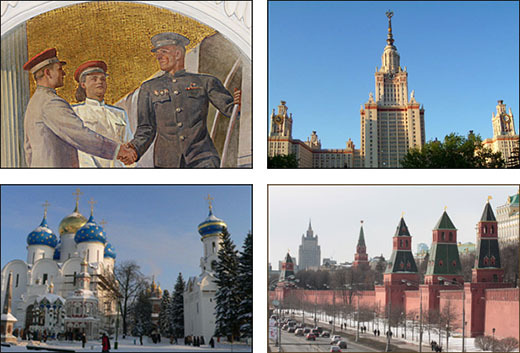 Sparrow Hills attracted not only visitors to Moscow but also Russian architects. 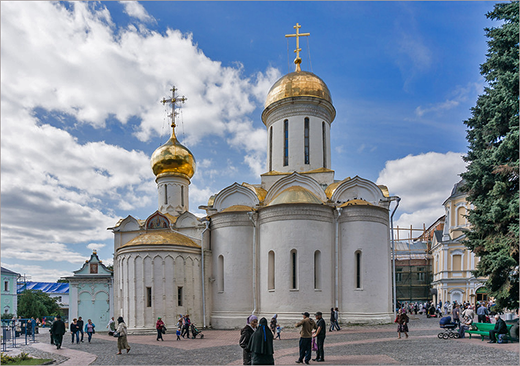 The Cathedral of Christ the Savior was originally planned to be built here. While that didn’t happen, later in the 20th century another temple was put up on Sparrow Hills. 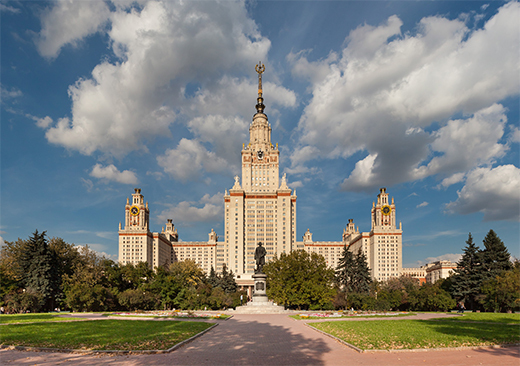 It was a temple of knowledge: the famous Moscow State University. It looks spectacular at the top of the hill and thanks to its location the University can be seen from afar. The view from Sparrow Hills is impressive during the day and at night, when Moscow is glittering with lights. The nearest metro station is Vorobyovy Gory; it is located at the lower level of the metro-bridge. It will take you about 15-20 minutes to walk up the hill. You can also come here by car. 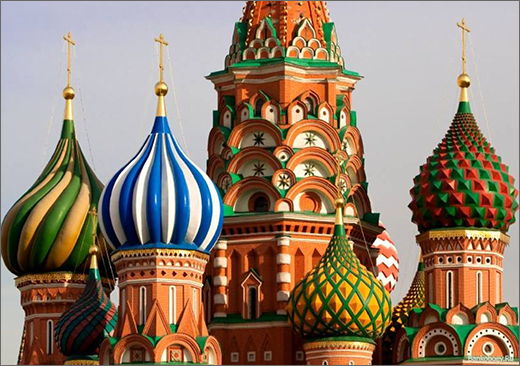 Sparrow Hills is included in our city tour and your Moscow tour guide can show you this area, as well as many other famous buildings scattered around our city.